Gloucester Park is a unique and versatile venue in Perth, showcasing exciting harness racing every Friday night. The superbly appointed facilities include 3 restaurants operating during race nights and 9 function rooms available for private hire on any day or night of the week. Is Suvaljko the easter bunny Joss has been looking for? Can Kiwi Legend repeat the dose..? Admission: $12 Adult, $6 Concession. 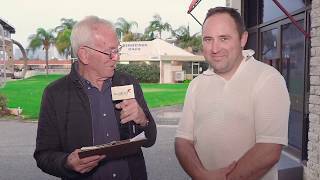 Members of the WA Trotting Media Guild are unanimous in their thoughts on the last race at Gloucester Park’s Thursday night meeting. 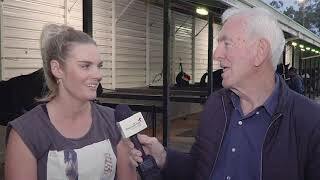 Shannon Suvaljko, last season’s leading West Australian driver, will handle the promising Art Major mare Salacious Gossip for the first time when the five-year-old starts from barrier five in the 2130m Happy Easter From Gloucester Park Pace at pacing headquarters on Thursday night. Eight-year-old Soho Wonder has impressed on the past two Friday nights with fast-finishing placings over 2536m. 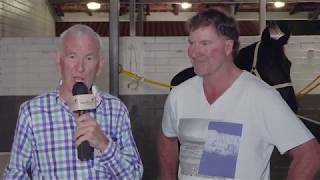 A meticulous plan by leading trainers Greg and Skye Bond to acclimatise Mighty Conqueror to standing-start racing has excellent prospects of bearing fruit when the lightly-raced and highly talented four-year-old contests the $50,000 Easter Cup at Gloucester Park on Thursday night.